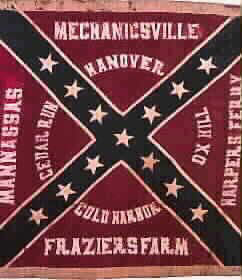 Military: Fought in the Civil War, Company D of the 28th NC infantry known as the "Stanly Yankee Hunters”, served in Lane's Brigade and fought at Gettysburg, surviving Pickett's charge. John Wesley Burleson’s name has been recorded under a variety of spellings and forms, including Joseph Wesley Burleyson, J. W. Burleson, and Wesley Burleson. Documents refer to him by both Joseph and John, and his headstone reads J. Wesley Burleyson. He signed his name as John Wesley Burleyson on his marriage certificate, yet he is referred to in Alex McLester’s will as Joseph Wesley Burleyson. We know from the 1880 census that his wife referred to him as Wesley, and all his friends knew him as JW. According to land records of Montgomery County (Note that in 1841 Stanly County was formed from Montgomery County), by 1841 Joseph and Nancy had acquired a farm of 173 acres, and one year later increased their land holdings to 515 acres. With substantial acreage and a blossoming family, Joseph and Nancy were prosperous. However, tragedy soon struck. Joseph Burleson died when John Wesley Burleson was only four years old, sometime between January and November of 1843. Only 33 years old at the time of his death, Joseph Burleson left behind Nancy and four young sons. A record of Joseph's death appears in the Montgomery (Stanly) County records in 1843, but it only states that Nancy was to receive his estate. Apparently, Joseph did not leave a will because none was filed into probate. "Never within the recollection of our oldest citizens has our village and county been so sickly as in the past two months". Because Joseph Burleson died without a will, a neighbor named John M. Rogers was appointed administrator of Joseph’s estate by the court. It was common practice at that time to appoint a relative to be the executor of an estate, and it is unclear why he was appointed instead of Nancy. A court case in 1849 was found in which a judgment was made concerning the estate of John M. Rogers paying a share to Nancy Burleson’s estate as her legal dower. Court records show that small amounts were reported by the administrator as being due the estate. In 1845 the court appointed a committee to untangle some affairs of the estate, and it found that the administrator owed $56.66 to the estate. John Rogers died prior to October 1846, and by 1847 the land was transferred back in Nancy's name. Along with Thomas Roland, Nancy Burleson also witnessed the signing of William Hatley's will in April 1847. Hatley died shortly thereafter, and Nancy Burleson appeared in court in May of 1847 to attest to the validity of Hatley’s will. The witnessing of Hatley’s Will should have served to remind Nancy Burleyson of the necessity of preparing a last will and testament, but the possibility of her imminent death must have seemed remote to her because she died intestate. John Wesley had another tragedy when he lost his mother in 1848, at the age of nine only years old. An entry in the Book of Wills for Stanly County in 1848 records the death of Nancy Burleyson. This document appointed Isaac Burleson, John Wesley’s Uncle, as his legal guardian, and he apparently lived with Isaac for two years, until 1850. Another entry for Stanly County dated July 15th, 1850, shows Uncle Isaac Burleson returning assets of $181.14 to the three youngest orphans. 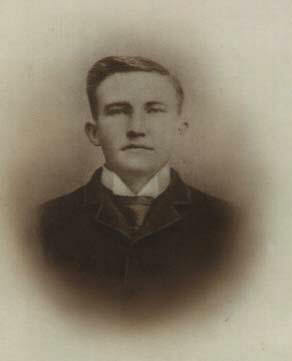 The oldest son of Joseph and Nancy, Isaac Burleson, was already 23 years old in 1850, and probably did not go to live with Uncle Isaac at the time of his mother's death. While Isaac went out on his own, David Derrick, John Wesley, and Joseph Benjamin Burleyson were sent to adoptive families in 1850. David Derrick (age 15) went to live with Davidson Lowder, Joseph Benjamin (age 8) went to live with Adam Richy, and John Wesley Burleson (age 11), went to live with Alexander McLester. David Derrick Burleyson and Joseph Benjamin Burleyson went on to become prominent farmers and businessmen, and their homes are featured in a book of homes in Cabarrus County. It is interesting to note that all four of Joseph Burleyson's sons fought in the Civil War as Confederate infantrymen. Following the tragic death of his parents, Wesley went to live with Alex McLester, a neighboring farmer. John Wesley Burleyson apparently endeared himself to his adopted family, for upon the death of Alex McLester in 1892, his will gives Wesley 56 acres of land and forgave a $200 loan that Alex had made to Wesley (see appendix). When considering the state of North Carolina during the 1850s, we must remember that while the railroads and public schools had come to North Carolina, most people seldom traveled more than 50 miles from their place of birth. Upon the outbreak on the War of Northern Aggression, John Wesley enlisted in the Confederate Army on July 29th, 1861 joining the Stanly Yankee Hunters as a Private in Company D, 28th North Carolina Infantry (see appendix). Company D of the 28th NC also contained cousins Ebin and Adam Burleson. Wesley’s brother, Joseph Benjamin Burleyson served in Company C of the 37th NC of Lane's Brigade, also known as the Mecklenburg Wide Awakes". On July 3, 1863, Gen. Lane led his brigade all the way to the rock wall at Gettysburg, but had to fall back. On the wall the 28th NC lost their regimental flag to the 126th NY Infantry. Ebin Burleson and John Wesley were among the lucky ones to return alive to the Confederate cannons to take up a defensive position. Joseph Benjamin was left on the field wounded for the third time and captured by the Yankees. This is the flag of the 28th N. C., Infantry. This flag was one of the 33 Confederate colors captured with the repulse of Pickett's Charge at Gettysburg on July 3, 1863. Of the 349 men, 104 fell during Pickett’s charge. Wesley fought with a battle-hardened unit of Confederate infantrymen in the Branch Lane Brigade serving at bloody first Manassas (Bull Run) and in the Petersburg Virginia siege lines. During that period the 28th N.C. Reg. was badly outnumbered and short on food, clothing and medical supplies. Wesley Burleyson was captured by the Union in July of 1863 following his participation in the legendary Pickett’s charge at Gettysburg PA, on July 3rd 1863. 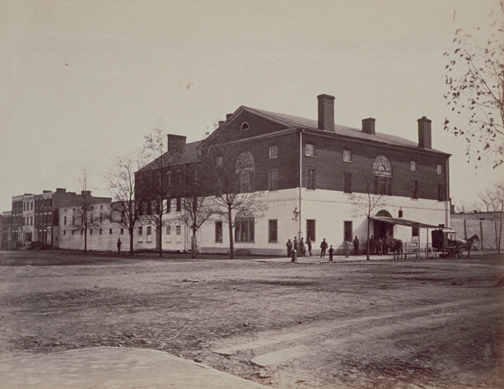 Upon capture, Wesley Burleson was then sent to the Old Capital Prison in Washington DC. In both the North and South, Civil War POW camps were horrible places. Food was scarce, sanitation was non-existent, and wounded soldiers were often left to die. Disease killed more soldiers in the Civil War than bullets, and any major wound was regarded as a death sentence. Fortunately, Wesley Burleyson was not wounded and he was released from the POW camp after he signed an Oath of Allegiance to the United States on September 26th, 1863. Although there are no known photographs of Wesley Burleyson during his younger years, his military records describe him as standing five feet seven inches tall, with light hair, light complexion, and blue eyes. Upon signing the Oath of Allegiance to the United States, Wesley was sent to Philadelphia to bide his time until the end of the Civil War. Wesley's Confederate Army record lists him as missing and a possible rebel deserter, but we know that this entry was made because the Confederates did not know that he had been captured in battle. John Wesley would tell stories of his journey from Pennsylvania back to North Carolina following the Civil War. Wesley traveled on foot for more than 500 miles without food or provisions. Wesley mentioned that he relied on eating wild honey from beehives and other foraging to survive his journey home. Upon Wesley's return from the Civil War in 1865, he married Sarah L. Page, daughter of Dempsey Page. Sarah and Wesley were married on the 14th of November, 1865, the same day that they applied for a marriage license. They built a home on land owned by Alex McLester (later bequeathed to John Wesley) and this home survived for over 100 years before being destroyed by fire in 1995. Sixth-, I give and bequeath to Joseph Wesly Burleyson a fifty acre track of land lying on Big Bear creek known as the Laban Smith track of Land to have and to hold to his own forever. I will and bequeath to Joseph Wesley Burleyson another track of land containing about sixteen acres. Lying between and adjoining the above named track of fifty acres and J.W. Burleson and Allen Barbee lands to have and to hold to the said Joseph Wesley Burleyson his heirs and assignees forever. Except the life estate of my wife in said land devised in a former item of this my will in the meadows in the fifty acre track that I have bequeathed to the said Joseph Wesley Burleyson. I will and bequeath to Joseph Wesley Burleyson one certain note I hold of against him to the amount of two hundred dollars. If not collected during my life time to have and to hold to the said Joseph Wesley Burleyson on his heirs and assignees forever. Mr. J. W. Burleson, 88 years of age, and a Confederate war veteran, died at his home near St. Martin’s Church Sunday morning at 7 o’clock. He was one of the leading farmers of the county and it is said of him before he became decrepit with age, that he could do as much work as two ordinary men. Funeral services were held Monday at 2 o’clock at Pleasant Grove Church, where the deceased was faithful member. The funeral was largely attended by people from all over the county and Albemarle. Branton (Brantley), who lives at the old home place, and Cornelius, near St. Martin’s Church. 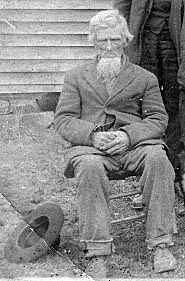 Mr. Burleson was one of the remaining few of those venerable old Confederate veterans who came back to Stanly County after the war and by their hard work and thrift, helped to rebuild a poverty stricken country that had been devastated by four years of war. With the passing of Mr. Burleson, Stanly County has lost one of its older and substantial citizens. He fought through the entire Civil War. Eight of Wesley's children are buried next to him and Sarah at the Pleasant Grove cemetery in Frogpond, North Carolina. John Wesley was a dedicated Baptist, at Pleasant Grove church where he is buried alongside many of his children. John Wesley’s barn still stands and is used to house livestock. Upon his death, John Wesley left this house to his son Brantley, who lived in it until his death in 1944. Located in Big Lick Township, John Wesley Burleson’s home was located on the first left road off of Bridgeport Mill Road, outside of Albemarle, North Carolina. The house rested about .3 miles from Big Bear Creek in Stanly County. Wesley and Sarah Burleyson had a total of eleven children. Their last two children, Travis Wesley Burleyson (1883-1885), and Ella Malinda Burleyson (1885-1885), died as toddlers and did not survive to see their third birthdays. Below is the 1900 Census showing Wesley Burleson (at age 60) and family. This entry was written by his son, James Vespasian Burleson. On December 4, 1920 John Wesley Burleson filed his last will and testament at the Stanly County courthouse. This will provides that Sarah Burleyson inherited the whole estate, with additional provisions upon her death. 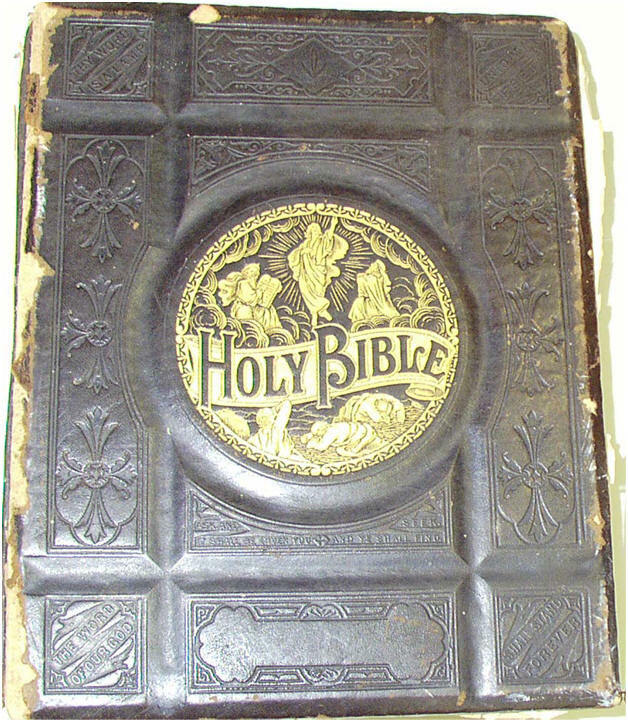 John Wesley left his son Brantley David Burleson, all of his personal property, including the Burleson family Bible and his beloved cap lock musket. John Wesley’s musket remained in the family until it was sold at auction in 1951 by Joseph Lee Burleson, Brantley’s son. Joseph Lee Burleson was fighting with the US Marine Corp in the Korean War and was unable to keep the family heirlooms. Other personal property of John Wesley was locked in a concrete safe at the abandoned family homestead, but all was lost when the safe was opened during his absence overseas. John Wesley lived to be 87 years old, and remained very active until his death on August 23, 1926. He was remembered by his grandchildren as a loving old gentleman. His granddaughter, Sara Burleson Bock, remembered sitting on his lap at the old homestead, making braids in his long white beard. Wesley's obituary in the Stanly News (Aug 27th, 1925), lionized him as a strong farmer who could do the work of two men. Will of J. W. Burleyson. I, J. W. Burleyson, of the aforesaid county and state, being of sound mind but considering of my earthly existence, do make and declare this my last Will and Testament. First- My executor, hereinafter named, shall give my body a decent burial suitable to the wishes of my friends and relatives, and pay all my funeral expenses, together with all my just debts, out of the first moneys which may come into his hands belonging to my estate. Second- I give and devise to my beloved wife, Sarah L. Burleyson, all my property, real and personal, so long as she shall live. Third- After the death of my wife, Sarah L. Burleyson, I give and bequeath all my personal property to Brantley David Burleyson, except as hereinafter devised. Fourth- After the death of my wife, Sarah L. Burleyson, I give and bequeath to my son, Brantley Burleyson, and to my two daughters, Cora Bell Burleyson and Delphia Burleyson, for the terms of their natural lives only, three tracts of land as follows: The home tract where I now live, consisting of fifty (50) acres; The Allen Barbee tract, consisting of sixteen (16) acres; the Laban Smith tract, consisting of fifty (50) acres; in case of the death of either of the said devisees, with children, she share of the deceased shall go to said children, but if either of them should die without children, then the survivors, or their bodily heirs shall take the interest of the deceased. Fifth- After the death of my wife, Sarah L. Burleyson, I give and devise to the bodily heirs of J. A. Burleyson a one hundred acre tract of land known as the Fannie Robbins tract, on condition that the said devisees shall pay to J. V. Burleyson or his heirs. One Thousand ($1000.00) Dollars, the same to be a lien on said land until the same is paid. Sixth- After the death of my wife, Sarah L. Burleyson, I give and bequeath to Mary Madeline Huneycutt during her life, and then to her bodily heirs a one-half (1/2) undivided interest in the Farrington Burris lands, consisting of thirty-one (31) acres more or less; and I give and devise to the bodily heirs of Mrs. Caroline Tucker the other one half (1/2) undivided interest in the Farrington Burris lands, consisting of thirty-one (31) acres, more or less. Seventh - I have heretofore deeded to my son, W. C. Burleyson a tract of land in the fork of the creek, consisting of one hundred and fifty (150) acres, more or less for the nominal sum of Three Hundred ($300.00) Dollars, and I consider that he is entitled to nothing further out of my estate, and neither he nor his heirs shall have anything more out of my estate. Eighth- I hereby constitute and appoint my son, J. V. Burleyson, my lawful executor to all intents and purposes to execute this, my last Will and Testament according to the true intent and meaning of the same, and every part and clause thereof, hereby evoking and declaring utterly void all other Wills and Testaments by me heretofore made.